This is one of my favourite pictures this year. Taken in some park in Amsterdam, on my iPhone. No action, no drama, no backstory. I think I like it because it captures a moment that was just so not the 2011 we know. I remember the day well. James made a huge breakfast. And then we went for a long walk, had coffee, maybe even some frozen yoghurt. 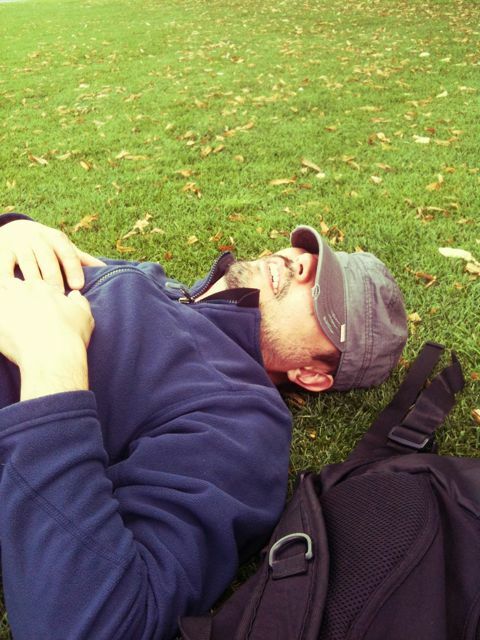 And after that, we fell asleep in the park. A little dog came to say hi. This was in July. And up until then, life had been insane… actually, life after that has been insane too. We’re still trying to process it all. We went to Kulna, spent Chinese New Year’s day on the back of dodgy motorbikes, and made a film about the ugly side of Bangladesh’s multi-million-dollar shrimp industry. Kirsten developed an allergy. We finished “Yong’s Story“. I visited Vui Kong in prison. We met Chun Yin’s family. “Cinema of Dreams” aired. We finished the rough cut of “The Great North Korean Picture Show”. Kim Jong Il died. “One on One with Edward Yang” premiered at the Singapore Museum. We followed activist Debby Chan as she investigated alleged labour rights abuses at Apple’s main supplier, Foxconn. Visited our favourite Kenyans in Eldoret, got a grand tour of their new training camp, and met Armstrong Mandela. 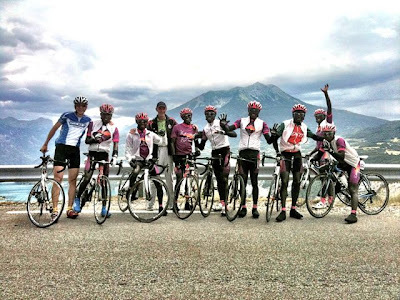 Hung out with the team in the French Alps, cheered as they rode in the Etape du Tour. On a whim, we decided to take a 21-hour bus ride from Lyon to Amsterdam. Spent a week doing very little. Went in search of tiger parents in Hong Kong. Met lots of over-achieving kids. Made a documentary called “Tough Love”. Got caught in two typhoons in the Philippines. Heard way too many horror stories from men working for a South Korean company called Hanjin. Made “Storm in Subic Bay”. Right now, we’re in Hong Kong prepping for James’ feature film, “Camera”. We’re also getting ready to release “The Great North Korean Picture Show”. Life, as it stands, is just a little bit frenzied and unpredictable – so unlike that photo in Amsterdam. 2011 has been difficult and amazing, heartbreaking and uplifting. We’re grateful for all the new friends we’ve made and all the people who have inspired us. The optimists in us are holding out hope for some chill-out time in 2012, but all signs are pointing to another crazy year. We know we can’t complain, shouldn’t complain. But maybe, just maybe, we’ll be able to squeeze in another snoozy afternoon in a park.